Information on a variety of Hotels in Vancouver BC. 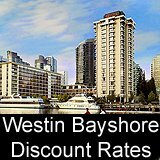 Information and Discount Rates on many Pet Friendly Hotels in the Vancouver BC area. 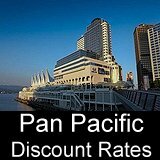 Cheap Hotels and Budget Hostels in Vancouver BC with Information, Location and Discount Rates. Review of the best Vancouver Luxury Hotels. Pamper yourself and enjoy the luxury of staying at one of these hotels. Spa Hotels in Vancouver with Discount Rates, Locations and Review to make your stay enjoyable. Where to find the best accommodation in Vancouver downtown waterfront hotels. Vancouver is a popular departure point for cruises and there are a number of Hotels near Vancouver Cruise ship Terminal that are within walking distance. Only 90 minutes from Vancouver is Beautiful Harrison Lake, with many things to do, Golfing, Hiking and many Water activities. Here are a few photos of Harrison Hot Springs. Description, location and fun things to see and do at Wildplay Maple Ridge. Information about Stanley Park - what to see, best time to visit, tours and more. Pictures of Stanley park taken in the Summer and Fall to show you how the park changes with the seasons. Granville Island attractions - what to see, restaurants, hotels and more. Here are a few pictures of what you can see at Granville Island. Tourist info for Canada Place - what to see, plus hotels, sights and restaurants near the Vancouver - Alaska cruise ship terminal. Find out more about Alaska cruise parking at the Canada place Cruise ship terminal. Ideas for activities and sightseeing during rainy days in Vancouver. Things to do at Grouse Mountain that will make your day a great time. Visit Vancouver Aquarium and experiance one of Vancouver's best tourist attractions. Walk around the streets of Robson to shop and enjoy the city of Vancouver. A guide to sightseeing and enjoying the night life of Gastown Vancouver. Why travel to the Napa valley, experience Vancouver's best Wineries, we have given tips, reviews and directions to help you find Vancouver's newest Tourist Attraction. Close to Vancouver is the city of Richmond, with it's beautiful surroundings and many tourist attractions make this a great place to see. We love Richmond and here are some Photos of Steveston and Richmond. Only 1 1/2 hours from Vancouver is a beautiful tourist attraction Cultus Lake, a great place for the whole family, with waterslides, golf and many more activities to do. Pictures from our trip to Cultus Lake in the Summer. A Vancouver Attraction in beautiful Vanier Park, with hands on exhibts and educational shows for the whole family. Here are few pictures we took of one of our visits to the Space Centre. Vancouver is a beautiful city with many things to do. Here are things that families and kids will find fun to do in Vancouver. Tourist attractions, fun ideas and inexpensive things to do in Vancouver. The best amusement park in Vancouver,open from April till September, this attraction has been here for more than 100 years, with information on location and rides. Built for the 1986 expo this landmark attraction is a must see. Here are a few photos from our last visit to Science World. One of the largest Chinatowns in North America an interesting place to see. A beautiful Chinese Garden located in the heart of Downtown Vancouver a great place to see. An up-to-date guide to Whistler vacations- rentals, the best sights, activities, restaurants and transportation. Here we have our pictures of beautiful Whistler Blackcomb mountain in the Spring and Winter months. A guide to finding great meals within your budget in Whistler. Reviews on fine dining, family restaurants and take out. Take the scenic drive to Whister and enjoy all the family fun activities to do in Whistler in the Winter and Summer Months. Information on riding the scenic train from North Vancouver to Whistler, BC. How-to info on taking the Vancouver ferry to Victoria BC, with sailing times, prices, distance information and more. What you need to know about cost, travel and reservations for the Vancouver ferry to Nanaimo, BC. Sightseeing & accommodation tips for British Columbia's scenic Gulf Islands. Salt Spring Island, BC travel info - best time to visit, places to stay and eat, ferry info on how to get there. Vancouver to Seattle Travel Tips - On Driving or using Public Transportation. Driving to Seattle Airport then flying out, this guide will help you save money with Discount Coupons at Seattle Airport Parking and Close to SEA parking Garages. Travel Tips with Information on getting to Bellingham from Vancouver by Airport Shuttle, Driving Directions and Public Transportation. A guide to restaurant eating in Vancouver - family spots, fine dining, ethnic restaurants, cheap take-aways and more. Where to find tasty Greek food in Vancouver, including take-away and delivery. If you're spending a night near the airport, some ideas on where to eat in Richmond, BC. Find out what to expect regarding weather for Vancouver, Canada. What the weather is like in Vancouver in January - info on temperatures and what to pack for the lower mainland, Vancouver Island and Whistler, BC. What to expect for weather on a May vacation in Vancouver. July climate and temperature info for Vancouver. How to contact us at Vancouver Travel Tips.com. Find any page on Vancouver Travel Tips with this handy site map.